If you own and operate your own business then you no doubt make time to keep it clean, your office is the physical representation of your business so you want to make a good first impression. A busy office can often lead to a messy office but this is where Alphaclean comes into the picture. 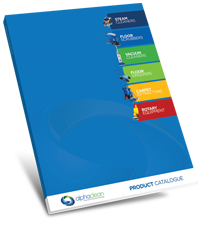 Alphaclean is an Australian based floor sweeper machine distributor and retailer. If you are looking for an efficient and durable machine to keep your business looking presentable then Alphaclean is for you. Based in Australia, Alphaclean delivers push along and ride on sweepers with exceptional quality and inventive designs. In your battle against dirt and debris the Alphaclean line of floor sweepers helps build your front and take out the enemy. As an Australian based company we pride ourselves on exceptional machines that perform above all expectations. Alphaclean has models for a variety of commercial and business properties from the small footprint to the large square footage. Alphaclean is the Australian sweeper distributor that incorporates TRS technology into every machine we build. This technology is German engineered which means you can count on them to be dependable and efficient no matter what the task. TRS technology combines inventive concepts to create effective machinery that revolutionizes your cleanup routine. Alphaclean machines are known for being able to handle any size debris, they are also resistant to clogs with a rear located hopper and ultimately they are more efficient than other machines or brands. The result is a cleaner, more productive workplace. These are just a few of the reasons to purchase a Alphaclean floor cleaner. If you want impeccable floors there’s no reason to look at anyone else. Give the best Sweepers In Australia a call today and discover how Alphaclean can shine up your business.